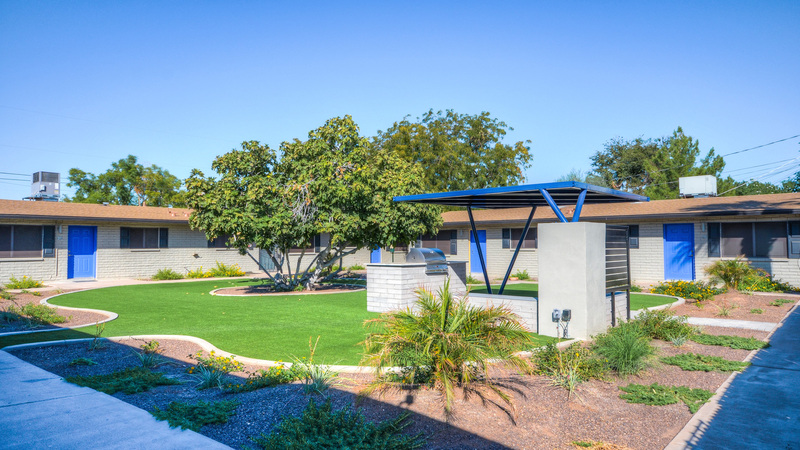 Phoenix, AZ – April 24, 2018 – ABI Multifamily, the Western US's leading multifamily brokerage and advisory services firm, is pleased to announce the $4,350,000 / $189,130 Per Unit sale of the Arcadia Edge Apartments, a 23-unit apartment community located in Phoenix, Arizona. The property is a single-story apartment community, built of solid block construction and comprised of nine separate buildings built in 1967 and extensively renovated in 2017. The property features all (23) 2-bed/1-bath units with an average size of 803 square feet. Each unit is individually metered for electricity and each has an individual backyard. "The buyer was attracted to the strong unit mix, property renovations, stabilized rents and the Arcadia-Lite location." states Royce Munroe, Vice President at ABI who represented both the Seller and the Buyer.